Ok, what are some of the best movie titles you can think of, in the way they relate to the movies they4e on? I'd honestly go with"Zardoz". (Don't spoil it! ) If you haven't seen the movie you don't get the title. Once you see the movie you realize the title is just pure frakking genius! It sums up a key elements of the movie perfectly! .MONSTER A GO-GO : Makes no sense, which is why I like it. 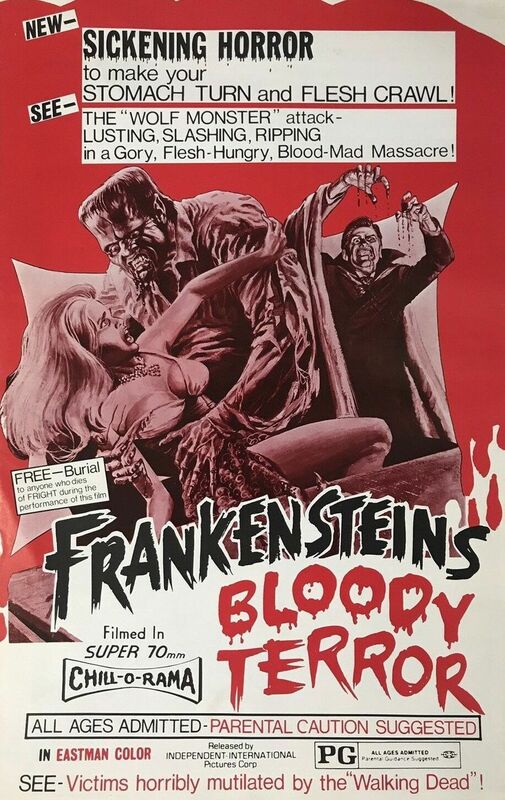 .FRANKENSTEIN'S BLOODY TERROR: No Frankenstein monster whatsoever- even though the monster is featured in the title and on the poster! Now that's exploitation! "Sssssssss..." Yeah, I included it in the bad title list too. It's stupid, but I like it. "The Cabinet of Dr. Caligari "
"20 Million Miles to Earth"